Journaling: They began their life as the uniform of a train engineer in New York City. Grandpa wore them as he drove steam locomotives. He retired in the 1960's and Grandma cut them down for a 4 year old Albert. He wore them all the times he played with his trains. When Ryan was born, I was excited that he'd get to wear them, too. At 4, they finally fit! 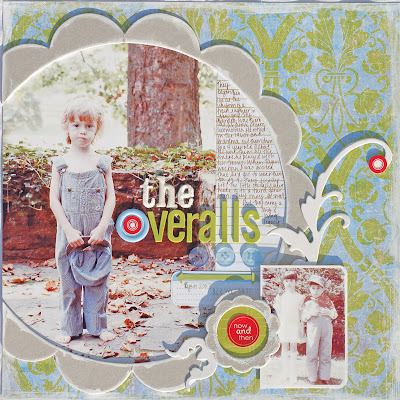 The little overalls have made it to a third generation. They may be small, but they carry a long and loving legacy. This week over at CPS we, had an awesome sponsor! Just Rite Stamps sent each of us an amazing set of stamps. These stamps are super cool. You can add different letters to create your own monogram or message. Plus, there are a bunch of cool borders to add to them. Check out the site here. 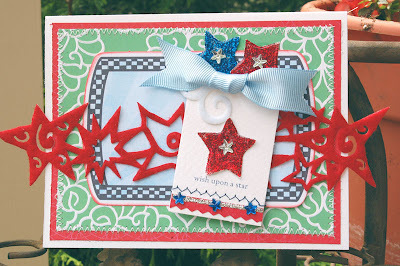 This is the card that I made using them. 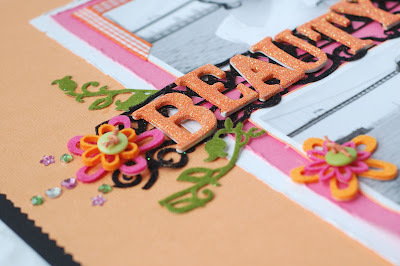 The papers are Scenic Route as are the die cuts. 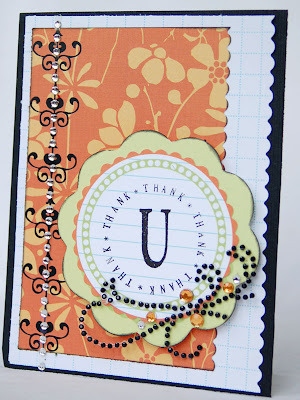 I also used a Hambly rubon border and Prima crystals. So now for the fun part. 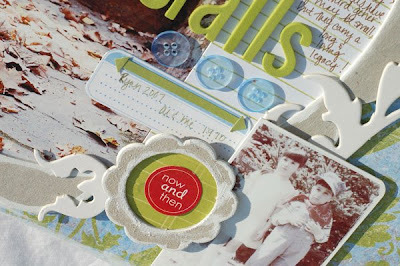 All you need to do is create and upload a card using this week's CPS sketch and YOU could win a set of these amazing stamps. Just head over to CPS for the details. This one is totally worth it!!! Here is another card that I made. 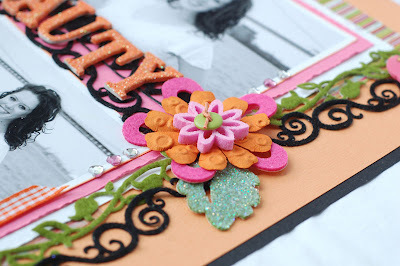 This one uses My Mind's Eye papers and die cut, Prima felt (I can't stop using this stuff) and some MM flowers. The pearls are Kaisercraft. And finally, a layout. 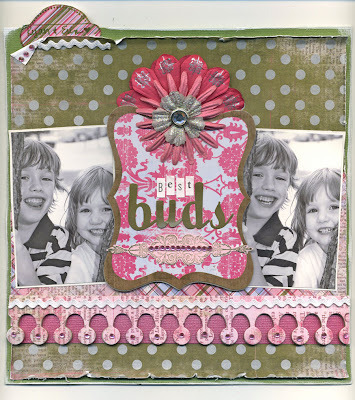 This one uses the new Pop Fashion papers from Pink Paislee. I also used the Topsiders (chipboard with stickers that fit on top) and some rubons. The stickers are also new from PP. I'm in love with this font!!! Thanks for stopping by. Be sure to head over to CPS and get in on the giveaway. We just spent a wonderful week in the Poconoes. There is definitely something to be said for living on a lake far away from work, the computer and life's daily grind!!! It's nice to be home, though. I'd share some photos, but silly me forgot to put the camera card back into my camera before we left. I did take a bunch of shots on my cell phone. My mom says the ones I sent her look good. But I have to get them loaded on my computer! Here are a few things that I was working on before I left. 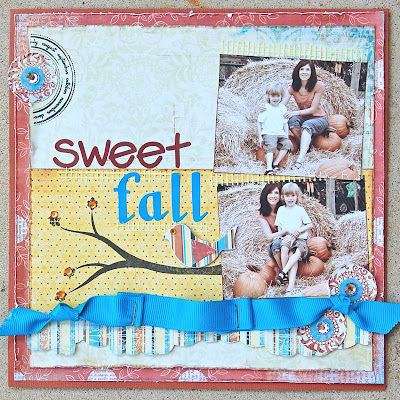 This first project is my CPS card of the week. I used stamps from The Kitchen Sink. The papers are K and company and My Mind's Eye. 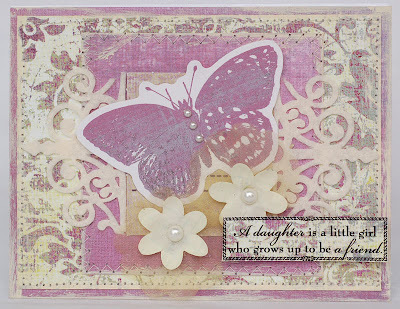 This next card uses the new Vintage Moon line from Pink Paislee. I'm just in love with these fresh colors! They are perfect for so many things. And finally, another card from Pink Paislee. This one uses the Pop Fashion line. I added lots of silver rubons to this one. 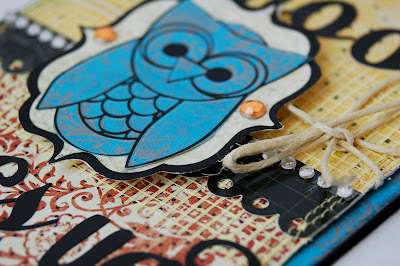 I also used a Topsider chipboard. Having stickers that fit perfectly on the chipboard is just awesome! 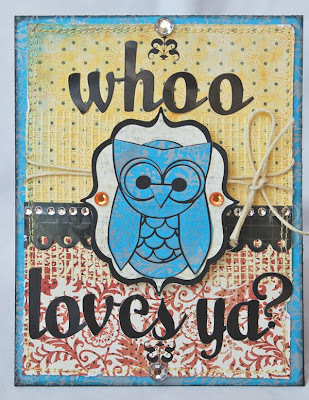 Wow, this week's blog hop was awesome! Thanks so much to everyone who stopped by. My little blog didn't know what hit it!!! 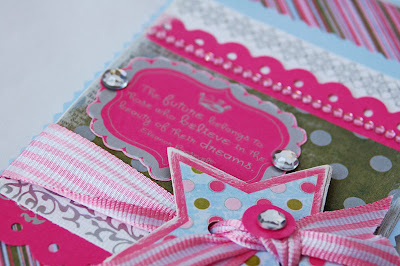 Be sure to check out the Pink Paislee blog to see if you were one of the lucky 12 winners. So, here are a couple of pages that I made for the Queen and Company booth. We haven't gotten the new product yet, so these use some of the already released felt. 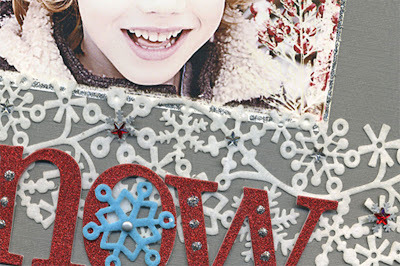 This first one uses one of my favorites...the Snowflake felt. It's really hard to see, but I added lots of jewels, brads and glitter. This is one of those pages that looks so much better IRL than online. Oh well, you get the idea, I'm sure. 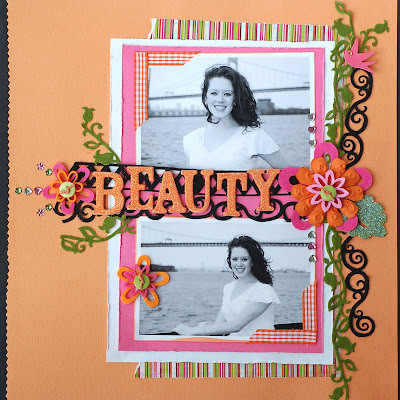 Here is another layout using the photos I took of my niece, Kate. I just love these shots. I used the mini felt on this one. It's such a fun accent! I also added some large and small felt frenzy flowers. I'm so excited. 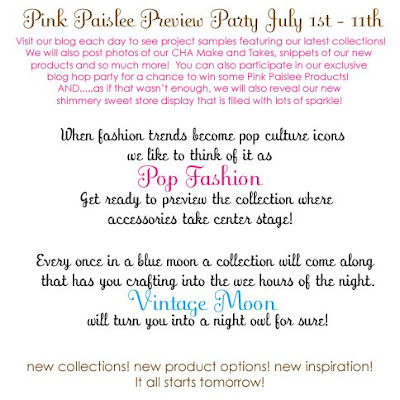 Today is the Pink Paislee Blog party! Each of the design team members is posting a project. All you have to do is leave a comment between today and July 11 (Friday) and you could win some new Pink Paislee goodness. Trust me, after playing with these goodies, you'll want it all. 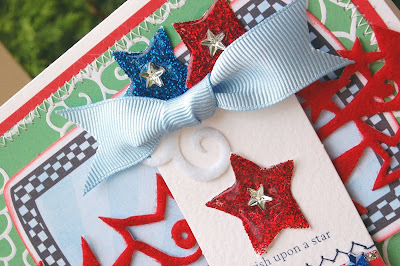 I'm just in love with the shimmers on the papers, the awesome rubons and the adorable new stamps. 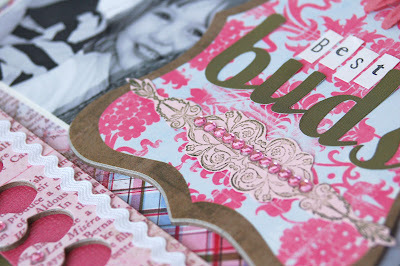 If you haven't gotten a chance to see the new release head over to the PP blog. So, here's my project. 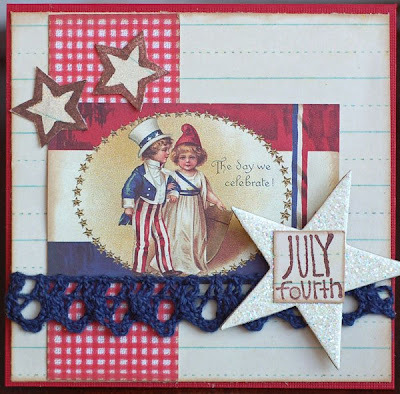 I used Vintage Moon papers and stamps. What I love about this line is that the colors don't scream "I'm a Halloween Line". They are so verstatile! That circle stamp with the months at the top left is my new favorite!! Thanks for stopping by and participating today. And Good Luck! The winners will be announced on Sat. the 12th at the Pink Paislee blog. Look for more projects to be posted after the 14th! Well, it's technically still 4th of July weekend, so I guess this will still count as a 4th of July post! The cute vintage image is Crafty Secrets. 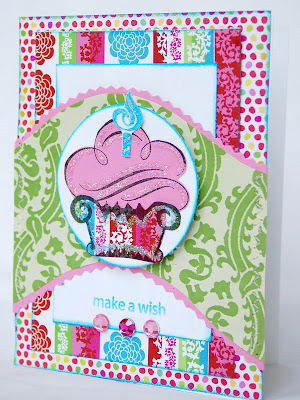 This next card is one I did for the Queen and Company Blog. 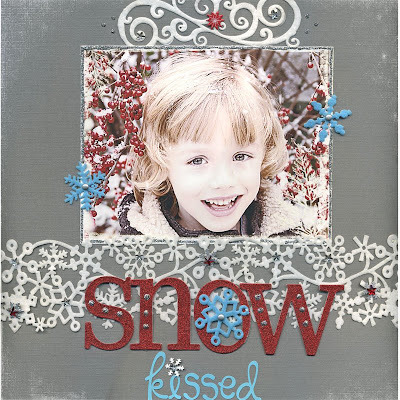 I stamepd using brads and made my own embellishments using the stamped image. 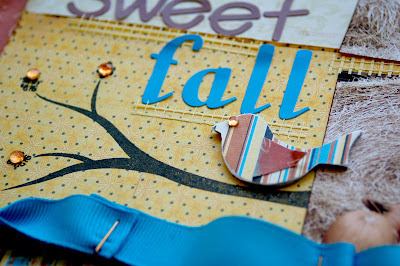 You can see step by step photos of how I did this by checking out the Queen and Company blog. Thanks for stopping by and don't forget to come back on the 9th (wednesday) for some fun Pink Paislee fun! Happy Belated 4th of July!!! You're invited to a party! Here's the link to the blog. There are already some yummy peeks on there! Be sure to check back here on July 9! There will be some special things going on that day! Here's a card that I did recently. I used a digital frame, typed the sentiment on it and printed it on a transparency. 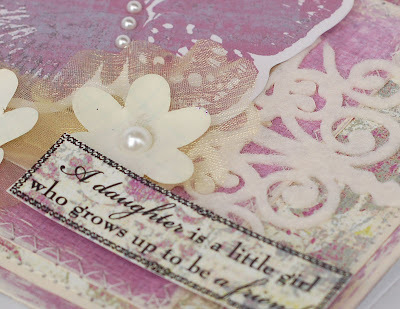 Then I adhered it to the card, added paint, the flowers, the glittered key and the jewels. This hybrid thing isn't that hard!